There was plenty of cake to go around at the Redwood Building last week. The tenants weren’t celebrating the end of winter quarter, but rather Executive Vice Chancellor (EVC) Alison Galloway’s decision to officially take the Crown Pit off the table as a temporary relocation site for the Student Union and Redwood Building tenants next year during the seismic retrofit. Redwood Building may move to the Cowell apartments instead. Photo by Alex Posis. 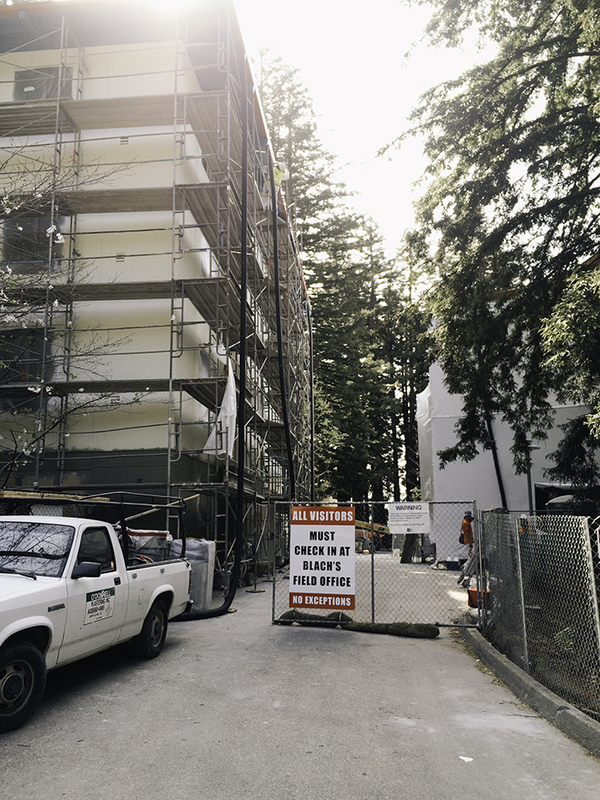 The buildings in Quarry Plaza, which house the “Big Five” ethnic organizations, Student Union Assembly (SUA), Engaging Education (e2) and the Bike Co-op, will be closed next year for mandated construction to make the buildings earthquake safe. The seismic retrofit of these two buildings is a part of a larger $8.25 million project, funded by student fees, to correct structural deficiencies in buildings with poor seismic ratings in 2005. However, at the Student Fee Advisory Committee meeting on April 1, a $2.54 million budget augmentation was requested, to make the total budget for this phase of the project $6.82 million. Members of the Student Union Governance Board (SUGB) had repeatedly expressed to Galloway that her original offer of five trailers in the Crown Pit wasn’t a space that met their non-negotiables — accessibility, safety, centrality and functionality. Four SUGB members met with Galloway on March 23, when she told the students that the Crown Pit should be an area only used by construction companies for nearby projects. Garcia, who was in the most recent meeting with Galloway, said the Student Union and Redwood Building tenants were offered two of the newly renovated Cowell apartments and possibly the senior commons at Crown College. Galloway also informed the students that the College Eight Art Building, a space SUGB was looking at as its main relocation option, will also be under construction and closed off next year. The four students who met with Galloway have since requested the floor plans of the offered spaces. They are still looking into the exact square footage of the apartments and Crown space, but it appears this offer meets SUGB’s non-negotiables. The SUGB representatives who met with Galloway need to get the specific numbers and meet with the tenants of the spaces and the rest of the SUGB members before they accept her offer.